I love the smell of fresh majoram. I have a thriving patch of it outside. It’s one of the herbs that I brush when I walk by just to smell it on my hands. 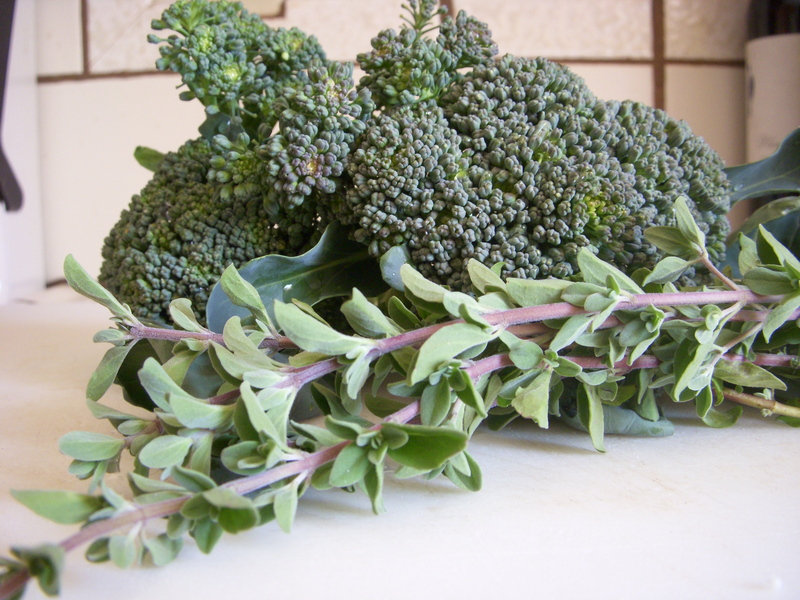 I recently noticed that my one of my kiddo’s broccoli plants was ready to be harvested, and knew exactly what I was going to do with it. Not that she wasn’t telling me exactly what she wanted me to make with it anyway. Yep, ordered around by a two-year old. That’s me! 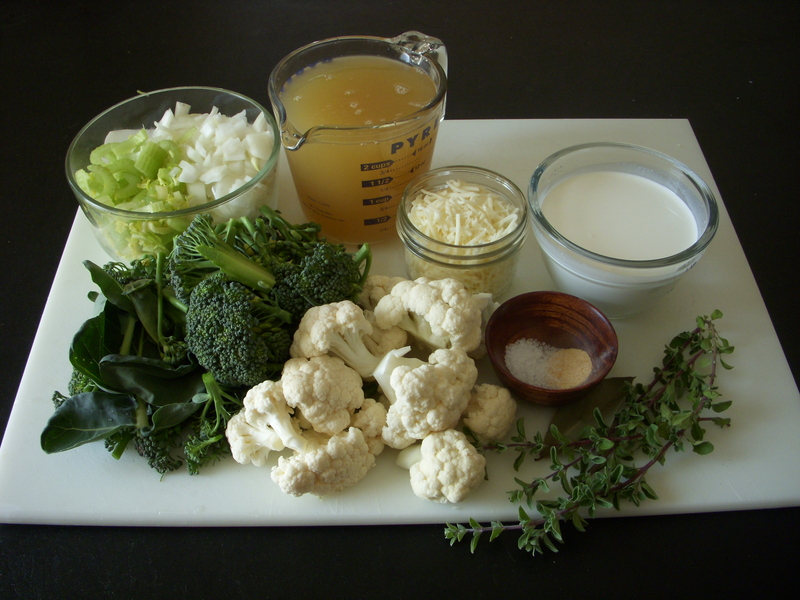 I would normally chop the broccoli and cauliflower up smaller, but I had a kiddo bugging me about soup. 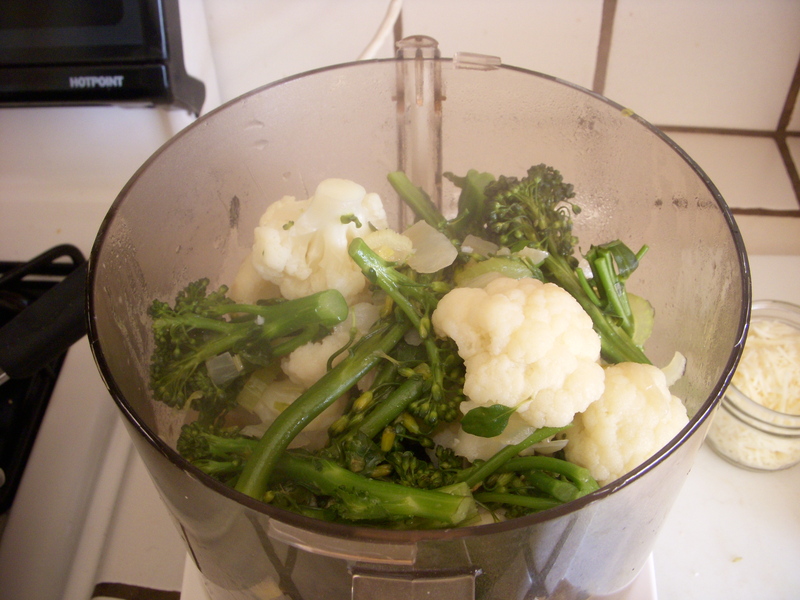 Pull out the steamer basket and set it aside, then pour out the liquid in the bottom. Or use it in the soup, just set it aside. I have. It’s good stuff. Use the same pot to cook your soup in, which equals less dishes, which in turn equals me happy. 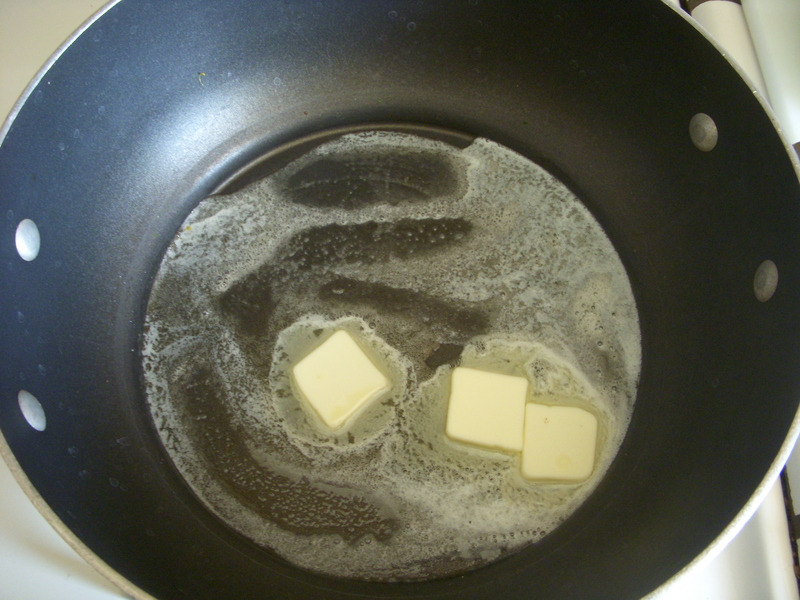 I’m sure I didn’t need to include this picture, but I am a dairy addict, and look how pretty that melted butter looks! and cook until soft but not browned, about 7 minutes. 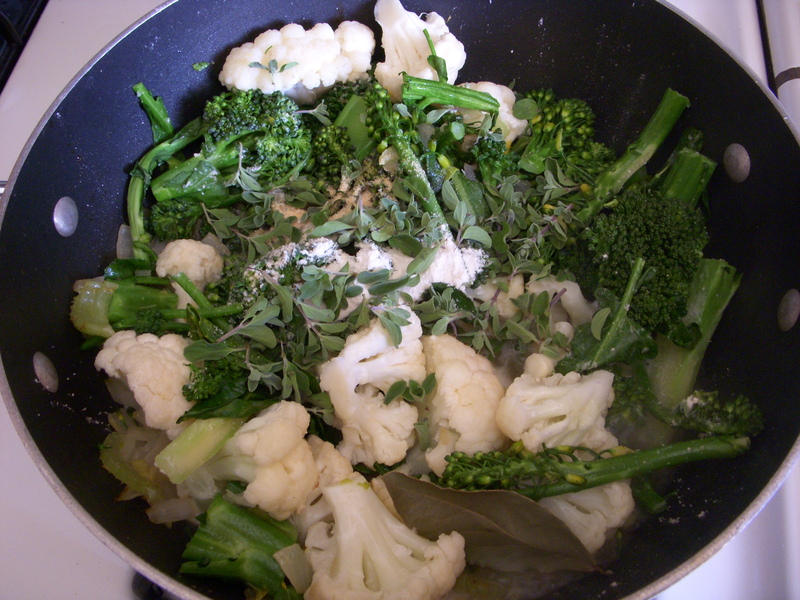 Add the broccoli, cauliflower, and flour to the celery mixture and stir well to make sure the flour is well blended. 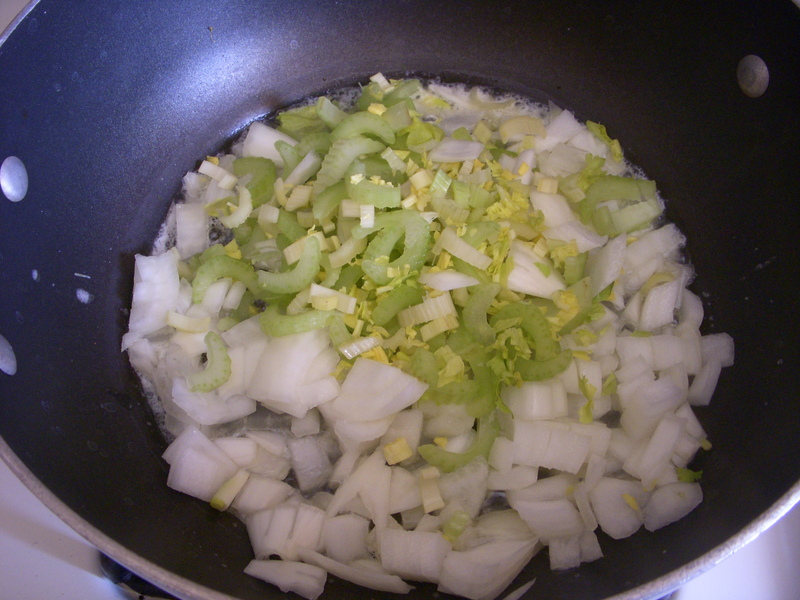 Then add majoram (If using fresh, strip the leaves from the stem), bay leaf, onion powder, garlic powder, salt and pepper to the pot. and give another good stir. Pour in the broth, and simmer uncovered for 15-20 minutes, stirring occasionally. Pull out the bay leaf and puree the soup in a food processor, blender or with a hand-held blender (mine went kaput a few months back), using whatever is easiest for you. Notice it still has texture? YUM! 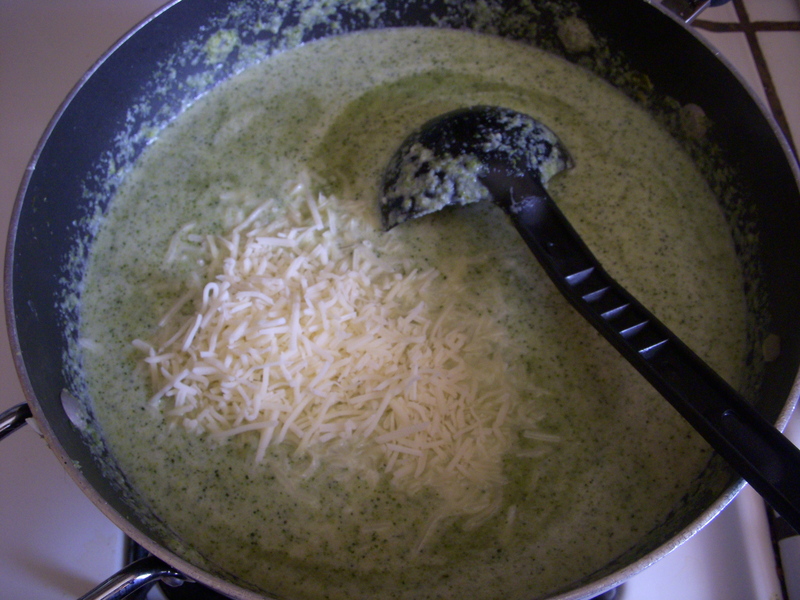 and stir until the cheese is melted. Then eat up!! 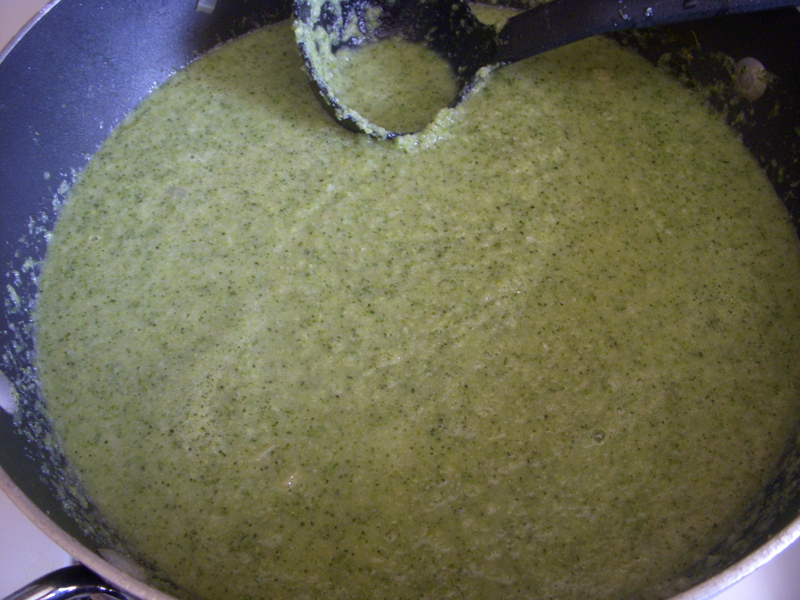 I don’t think I could ever eat a plain broccoli soup again. The majoram enhances the soup flavor so well. 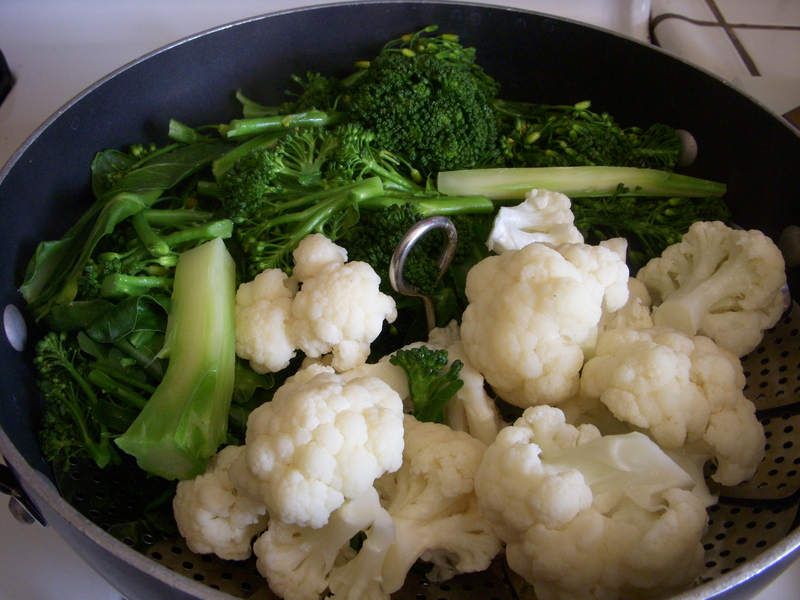 Feel free to omit the cauliflower and use only broccoli. It’s just as delicious!! !